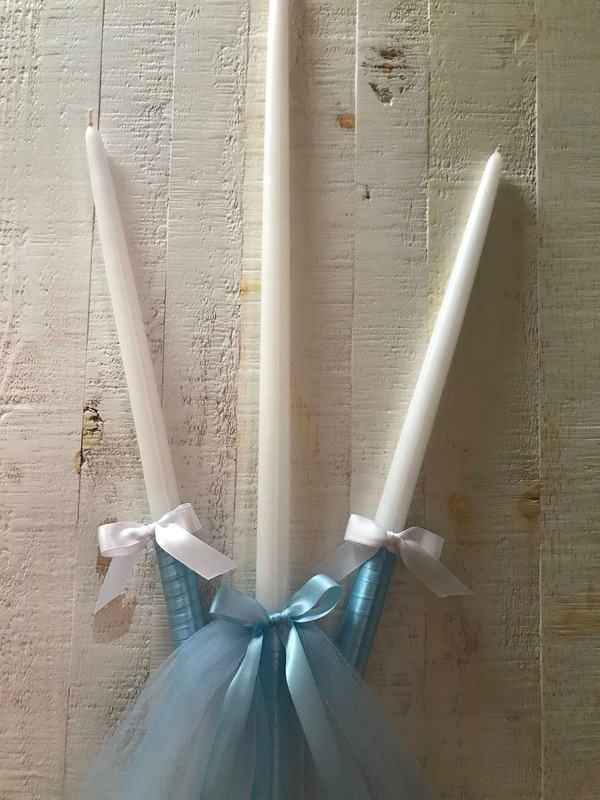 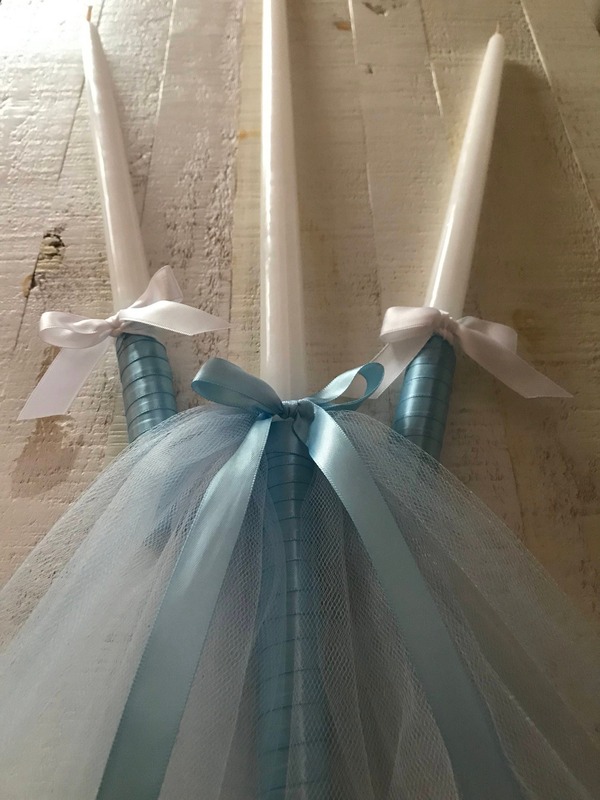 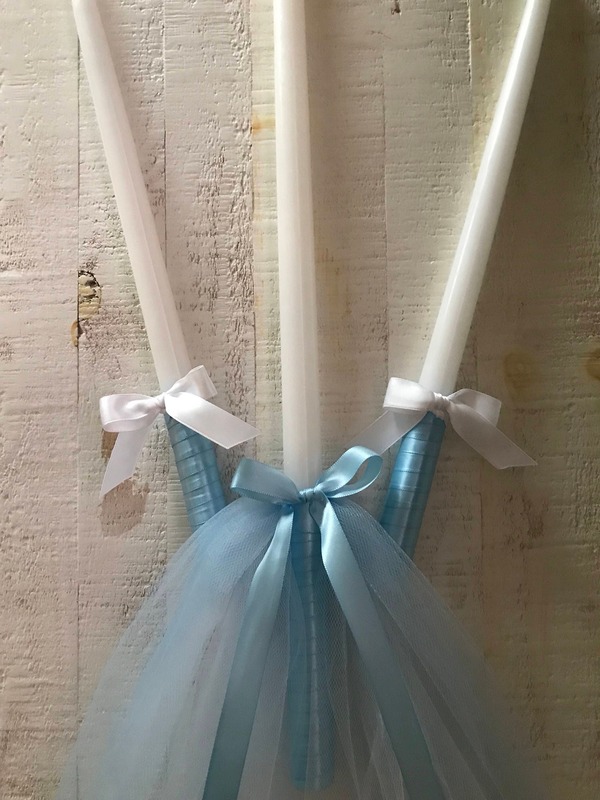 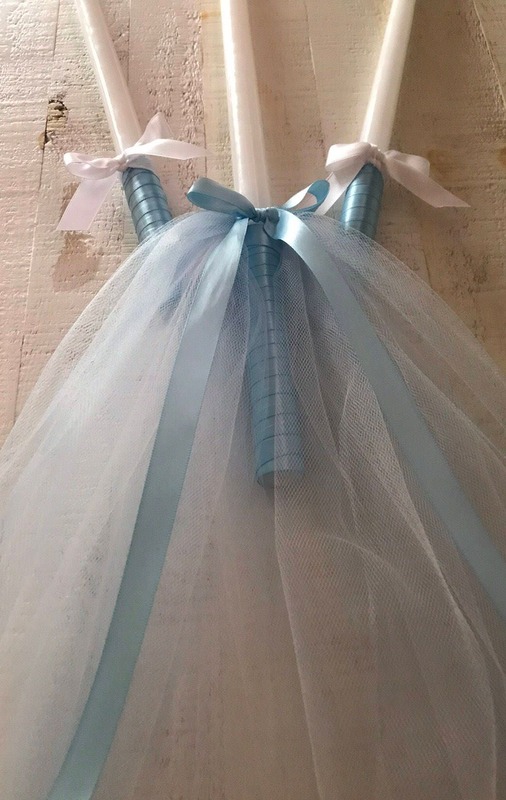 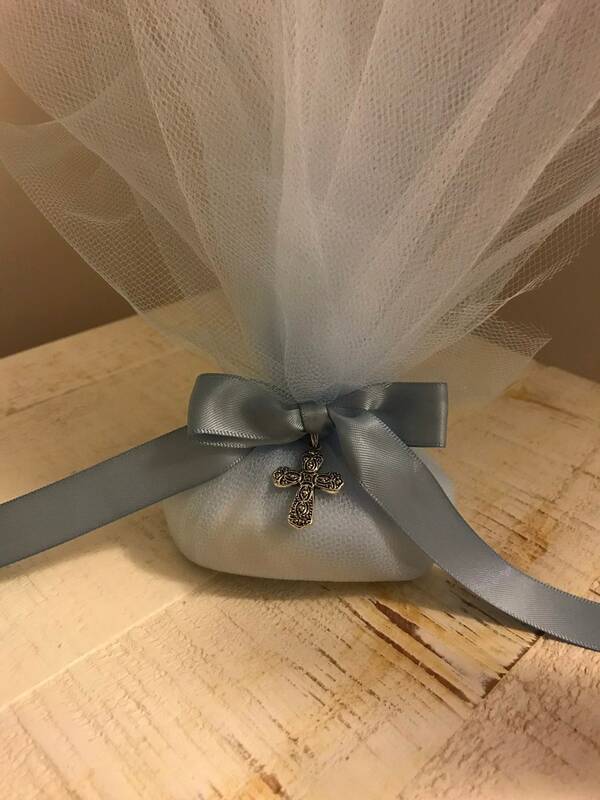 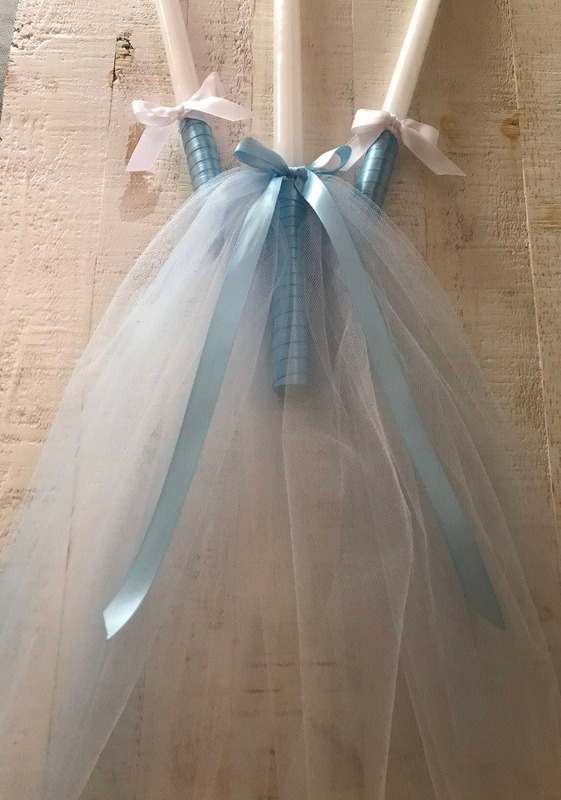 One 24" white taper candle delicately wrapped with double sided satin blue ribbon and drapes with blue and white tulle tied with a bow. 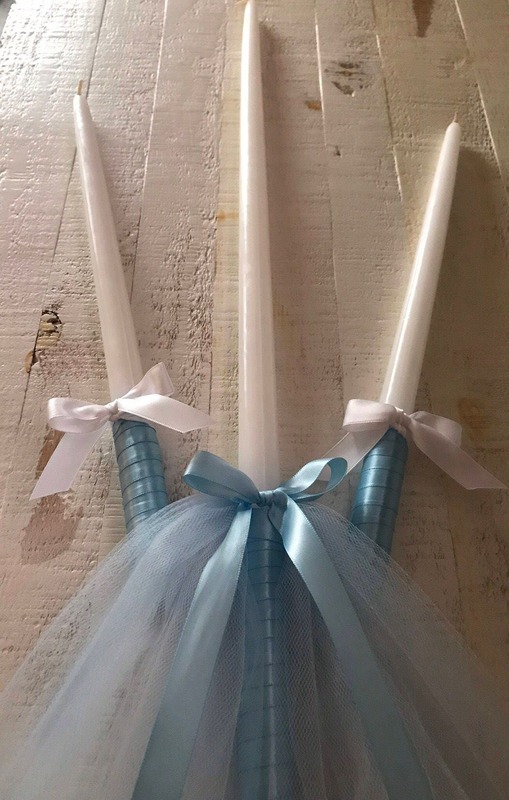 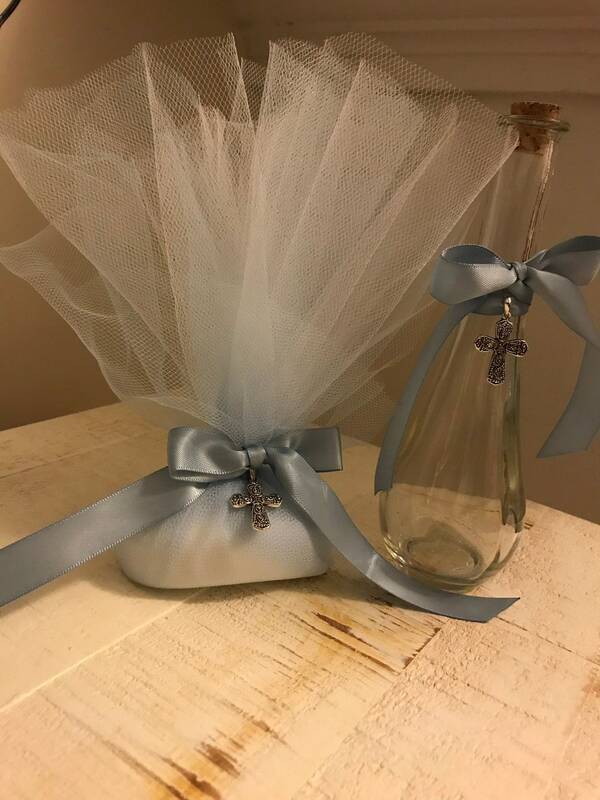 *the blue candle set is perfect for a little blue but I can make same set with yellow, green, violet, silver/light gray if you prefer a more gender neutral color. 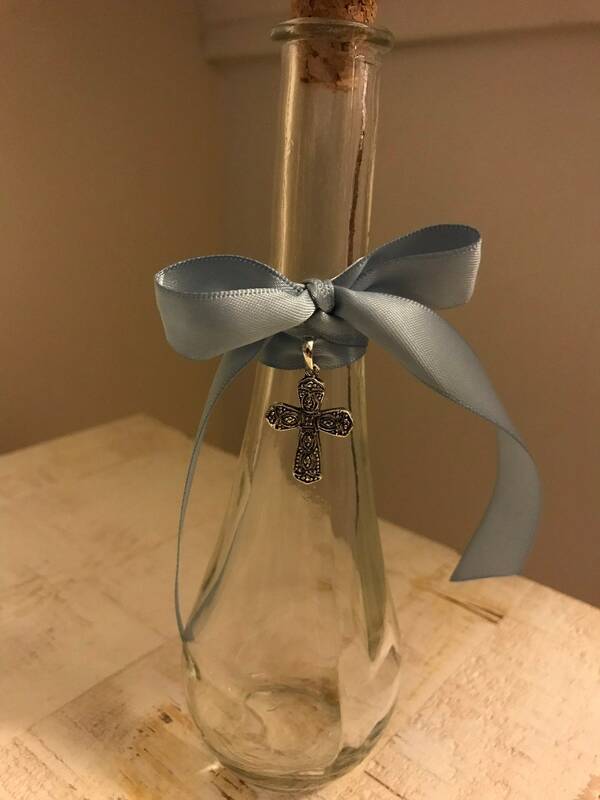 Just send a message with your color choice.